As an Ann Arbor resident for nearly two decades, I'm embarrassed to admit that until last week, I had not been to Fraser's Pub. I'm glad I finally took the time to check it out. Fraser's is pretty decent neighborhood pub with decent food and a respectable selection of beers. Definitely worth the trip. "Your beer sales are up? Oh, definitely: 258% over the last year." @Phil thanks for the link. But there's something beyond the bad service. 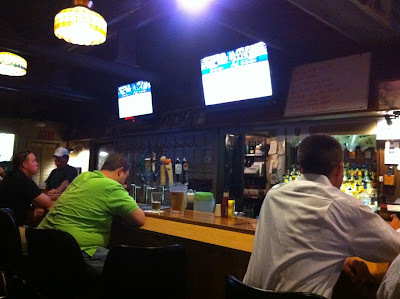 It's one of Ann Arbor only true neighborhood bars and there is something to be said for the sense of community there.